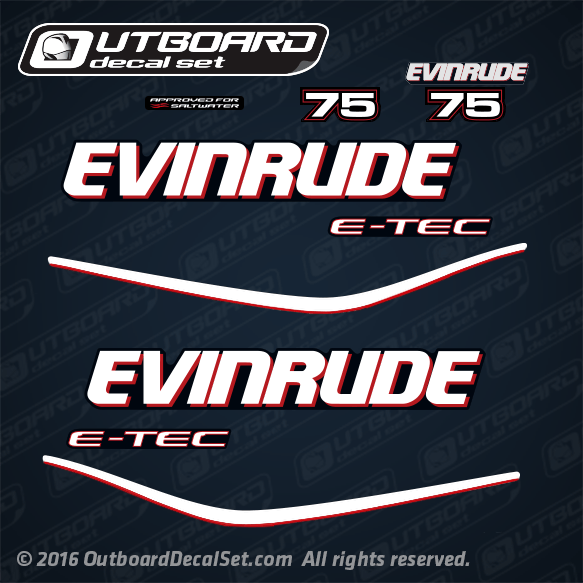 Evinrude 75 hp E-TEC Decal Set made for 2009 to 2013 Blue Motor outboards. 0215542	EVINRUDE E-TEC - Port. 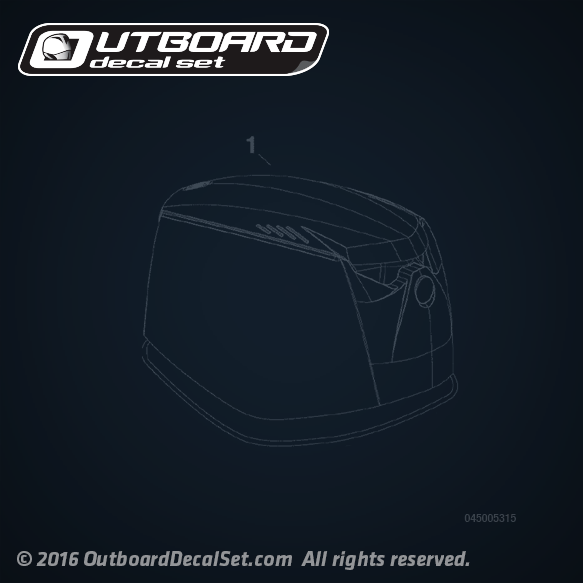 0215541	EVINRUDE E-TEC - Starboard. 1 - 0285741 ENGINE COVER Assy - BLUE. 1 - 0285742 ENGINE COVER Assy - WHITE. 1 - 0285711 ENGINE COVER Assy - BLUE. 1 - 0285712 ENGINE COVER Assy - WHITE.